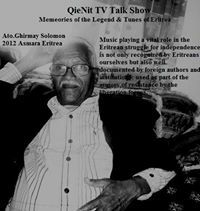 Ghirmay Solomon will be remembered for his song “Be 4 Sene Debdabe tsehife”… In the mid 1950s, Eritreans came to realize that their country was slowly trapped unlawfully under the hands of Ethiopian colonizers. The Ethiopian colonizers started controlling the people on what they read and music they listen. To the extent of discouraging them speak the language they know. So Eritrean musician began singing songs describing life under occupation, which resulted in forming small musical groups with the aim of challenging the foreign culture that was engulfing the country. 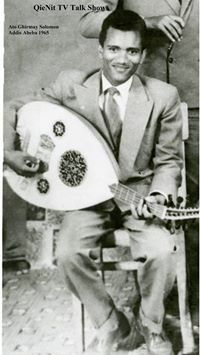 Although singers like Ghirmay Solomon created songs with straightforward lyrics, many included coded communication in their music so that only Eritreans would be able to understand.